Why is FIFA 19 Ultimate Team so Stressful? Home FIFA FIFA 19 Why is FIFA 19 Ultimate Team so Stressful? Why is FIFA 19 Ultimate Team so Stressful? To find the answer to this question, we invited Andy Wakefield to explain to us why we stress with this game and what we can do to make it be less stressful. He is a postgraduate student in Applied Sports Psychology based in London, who has been playing FUT since FIFA 10, hoping to pursue a career in Sports Psychology within esports. If you missed his previous articles from this Sports Psychology in FUT series, don’t forget to follow the links on the bottom of this page. Why is FUT 19 so Stressful? Why we are becoming less motivated to play the FUT gameplay? So, in the last post I talked about how and why FUT 19 is becoming less and less enjoyable to play and motivation to play the game is harder to come by. 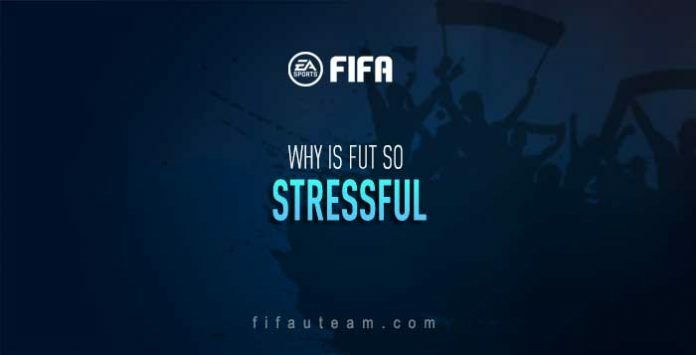 This time I thought I’d focus on a similar area in stress and why FUT 19 can be so stressful. Esports and competitions are designed to be stressful. Sports set objectives and encourage people to achieve them whilst putting obstacles in the way of players. Plus, with the addition of extrinsic rewards, it makes achieving a goal less enjoyable. Here I list some of the sources of stress that can be applied to FIFA. There is so little research applying sports psychology to esports, so I’ve picked some from numerous sports that I think are relevant. How central/important the event is to an individual. Importance comes from your investment in the game itself and how many others in your life care about the game. Therefore, we can see influencers playing the game are more likely to be stressed by the game, as the game becomes a ‘central’ part of their lives. This can be the same if we watch a lot of twitch and YouTube on FIFA, the game becomes more important to us the more we watch. Also, think of esports players whereby FUT is central to their income and life. Here, centrality is very high and therefore resulting stressors are more likely to cause stress. How certain you are in your own abilities and the game itself to reward good gameplay. This is a huge one going into the sports event this weekend. With constant changes to the game and the uncertainty and RNG nature of gameplay in FUT 19. This means that uncertainty in performance is likely higher and stress is more likely. Our perceived and real ability to make choices according to our own free will. Autonomy is something that lacks in FUT. The game relies on a lot of RNG, often games are decided by what seems like a throw of the dice and of course, our teams rely heavily on packs. This all means that our perceived autonomy of playing FUT is low and can cause stress. 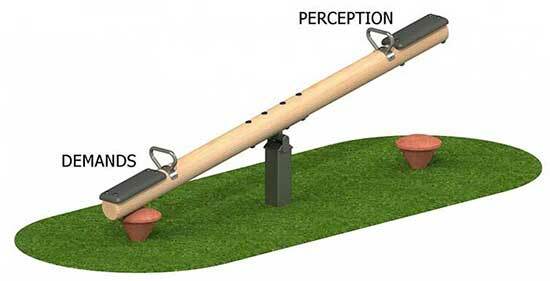 Essentially, we perceive (rightly or wrongly) that games our are out of our control. This is sports psych always refers to the coach-athlete relationship, but poor communication between the esports athlete and the company can draw similar comparisons. Within the FIFA community, communication from EA has long been a huge issue. Although this year is the best we’ve seen, (imo) in terms of clarity on issues and communication, it is still low compared to other titles. This all feeds into a potential source of stress. The game modes over the last few editions of FUT have become more and more oriented towards esports and competition. Competitive game modes such as FUT Champs will often be stressful within any sporting environment as it is direct competition and comparison with other players. As I said at the start of the post, competitive sporting environments are designed to induce a stressful experience. The lack of ‘casual’ modes within the game, therefore, makes stress more likely. This also feeds into the last post as to the extrinsic nature of game modes and constantly ranking against other players in almost every FUT mode. Ultimately, the move towards game modes which are so competitive within FUT only adds to stress and frustration within the community and playing the game on a daily or weekly basis. In a more clinical setting, stress is looked at as being the difference between our expectation of a situation and the reality of it. So, think of FIFA gameplay, we have an expectation that if a player is tackled and wins the ball there should not be a foul. When this expectation is broke and a foul is given, rage might ensue but ultimately stress is resulting emotion. This type of stress is obvious but ultimately trying to remove expectation can alleviate some stress. This is characterised as chaos by some Jungian psychologists and plays more into the anxiety side of things than stress. However, this is a good example of why playing FUT becomes stressful. As always with psychology and psychological theory this is just a few things I picked out that highlight some answers to why FUT can be so stressful to play. With stress, there are also a million different sources that could feed into stressful experiences playing FUT. So how could FUT be less stressful? Improving autonomy with less RNG gameplay is, of course, huge and something which EA tried to resolve in timed shooting, but ultimately failed. This feeds into performance uncertainty also. Communication also has improved this year, but ever improving this in terms of patches especially would lessen the stress of the game. Game modes are also a big factor influencing stress in FUT as many in the community have highlighted. Introducing more casual modes is something I hope next editions of FUT will include. This article was written by a guest contributor identified on the top of the page. Absolutely agree. It’s so frustrating! You just neeed to press constantly and steal the ball, run like a chicken and shoot the further the better. Always end wondering why the hell do I keep playing this game as it’s suposed to be kind of fun… Im not a very good player (Div 5/6) but I thought a game should be something to relax and have some fun and Im afraid this is not the case at all. I’m french and I strarted to play on FUT with FIFA 19. I asked myself why I am so stressed when I play this mode of game. I think that another reason is that physical skills are more important in FUT that technical skills. I do not call this game “fifa 19” but “freefight 19”. When the other team have a high level of pressure and physical players, it is very difficult to develop a possession style. Possession style players are always oppressed and have to play faster and faster, with a lot of concentration to keep the ball. I is very stressful ! I am not a very good player (division 6) so it is more difficult for me ! Furthermore, in my point of view, referees are too lax. I think pressure style and physical skills are too efficients, bad players (in passes and tehnical skills) can win matches with this tactical style.